Always Enough, Never Too Much | Jess Connolly & Hayley Morgan | Audiobook Download - Christian audiobooks. Try us free. Discover God’s wild freedom as you find your identity in Jesus with 100 devotions that will help you target and banish lies and insecurities. 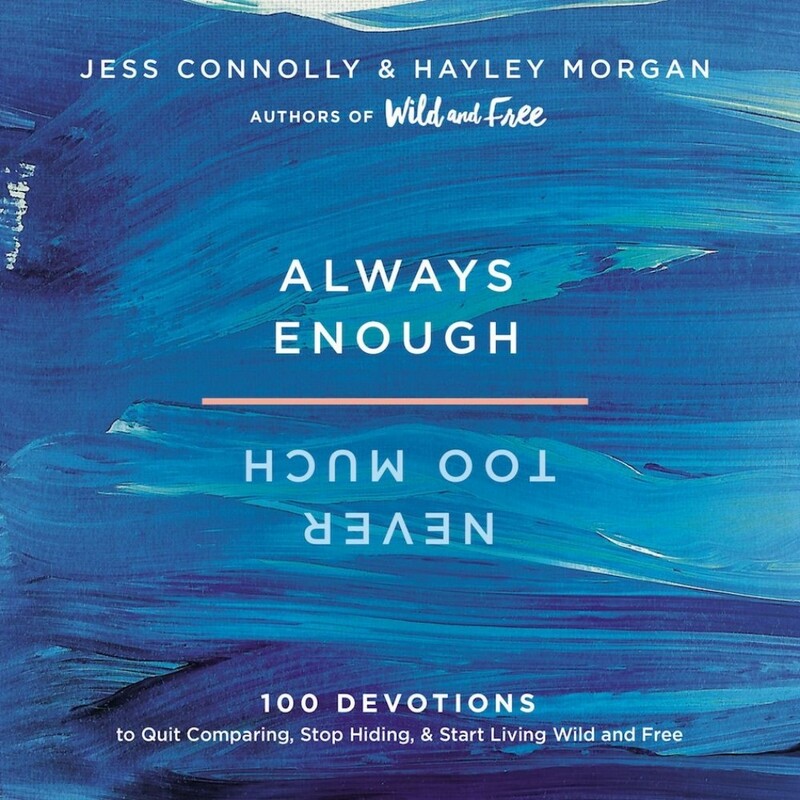 Jess Connolly and Hayley Morgan, bestselling authors of Wild and Free, walk you through the gift of truly knowing who you are in Christ in Always Enough, Never Too Much: 100 Devotions to Quit Comparing, Stop Hiding, and Start Living Wild and Free. We’ve all been there. We know that sneaking, small voice in our heads all too well—you’re too loud. Too quiet. Too young. Too old. Too unimportant. Too ugly. Too silly. Too serious. You’re not as successful as she is—look at her perfect family, look at her high-powered job, look at her great hair and size 4 skinny jeans. Why can’t you be more like her—be more in general? Why do you expect so much from everyone? Why can’t you take up less space? Ask for less? Be less? The lies track well-worn paths in our minds and our hearts, wearing us down and making us question our role in God’s kingdom. With a unique flip-book design, these 100 devotions are topical, so you can choose what you need most every time you open the pages. This book is designed for you, the woman who feels like she can be both too much and not enough—sometimes on the same day.